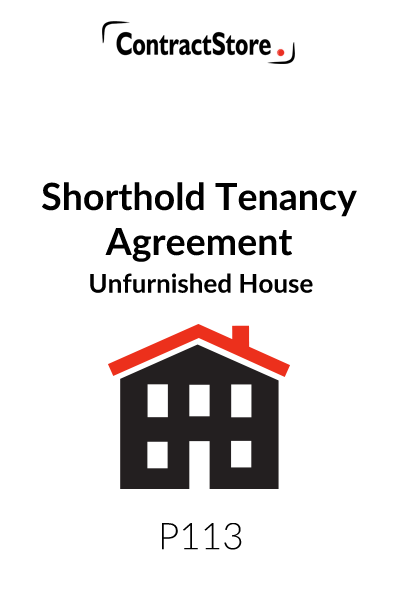 This is a tenancy agreement of a house or cottage where the landlord lets the property as an unfurnished ‘shorthold’ tenancy under the Housing Act 1988. It is suitable for an owner of a buy-to-let property or a home-owner letting his house, cottage or bungalow unfurnished. 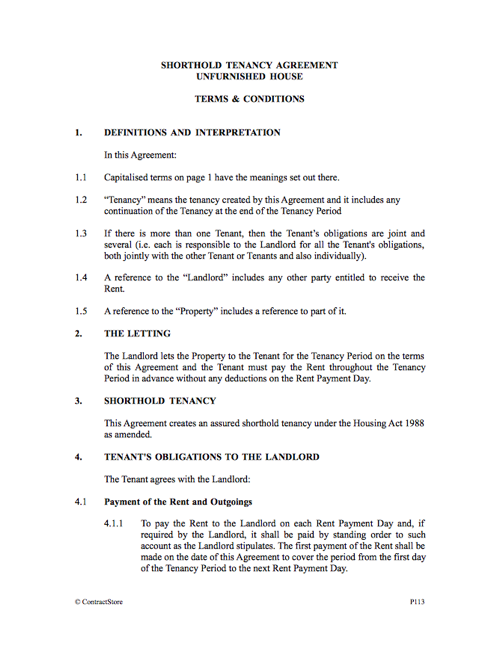 The form sets out the rent and other details on the first page. 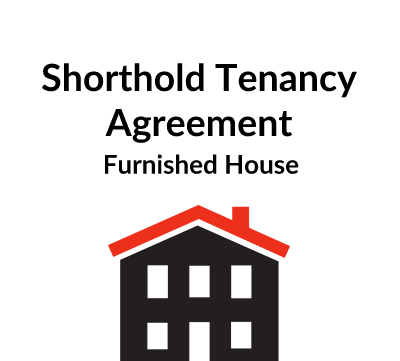 For the rental of a furnished property, see document P112. The full name and address of the landlord should be given at the commencement of the Agreement. The address should be in England and Wales and will be the formal address for use by the tenant for service of documents and delivery of other papers to the landlord. 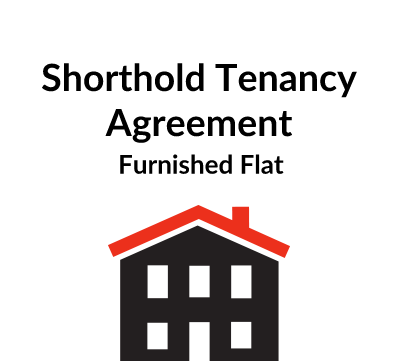 A different formal address can be notified to the tenant, if the landlord wishes, under clause 8.1 of the Agreement. This clause refers back to page 1 of the Terms & Conditions where definitions are given. 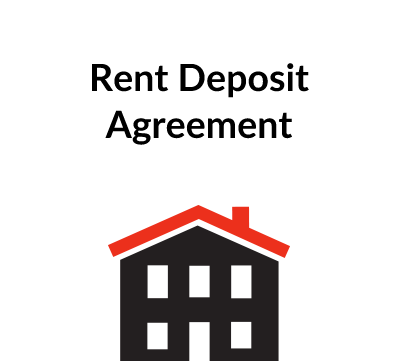 This deals with the way in which notices are to be served by the landlord or the tenant.